My friend Dawn, of Dawn Bergeron Photography, came by yesterday to do an "on location" photoshoot in my living room. 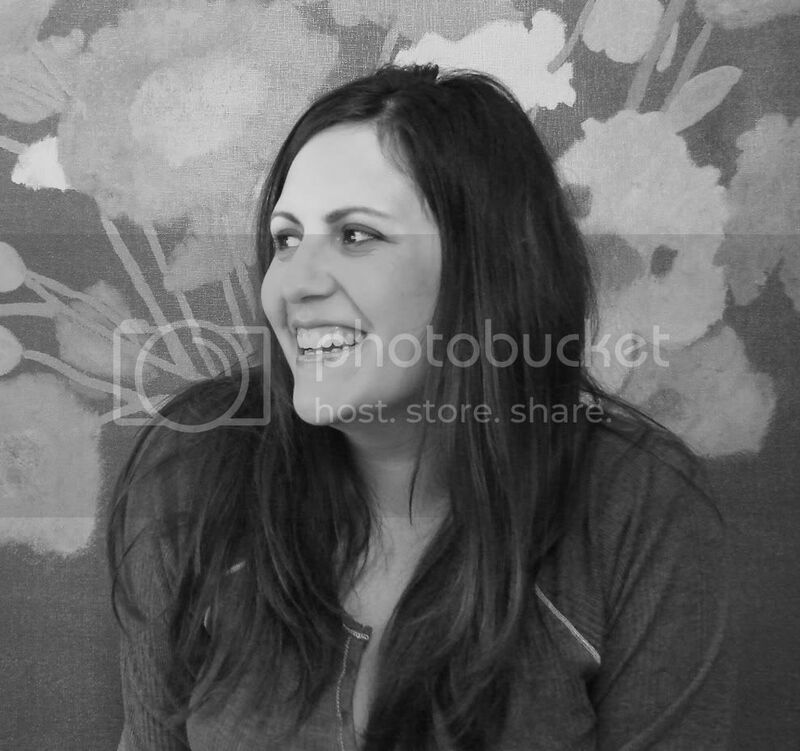 I needed some fun portraits of myself for an Andalucia promotional brochure I am in the midst of putting together. I was pretty nervous at first because I'm usually the one behind the lens, not in front, but I worried in vain. Within minutes Dawn and I were cranking up the 80's tunes, sipping raspberry Lambic and having a blast. She shot nearly 200 photos and I've narrowed them down to my favorites, but now I need everyone's help! I have to turn in the files for my brochure by Thursday (yep, in 2 days roughly) so I need to pick the best shot of me and the best shot of Sydney to appear it it. Please leave a comment with your favorite shot of me and your favorite one of Sydney and be entered to win a little Andalucia surprise. Please include the number of your favorite pictures and a reason why you think they are the ones that must appear in the brochure. I will pick the winner (commenter & photo) by Wednesday night. Sorry so many. I just had such a hard time narrowing them down even further, which is why I need your help! Please leave your 2 choices in the comments section and I will draw a winner. A quick shout out to my friend Dawn, photographer extraordinaire, for giving me the best photos of myself I've ever had! 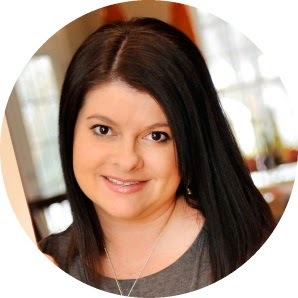 Please check out her blog... she is awesome!! And another shout out to the fabulous Heather, for making those adorable fabric playballs you see in all these pictures. She made these at lightning speed and they are just PERFECT! She sells them in her etsy store and will soon be carrying some made of Andalucia just like these! I vote for 11 and 4. Photoshoots are tough, but choosing shots of oneself is painful! You did great! Patty, I think #12 is a beautiful picture of you and would be great, but there's no "product" in the shot, so if I were to pick one with product, I'd go with #14. I'll be honest in that the first few pictures look like you're trying to hide a pregnant belly while holding the ball and one of them looks like you just gave birth to the fabric ball. Sorry, those are my honest thoughts! For the pictures of Sydney, I love 4 and 6, with 6 showing the dress/product more closely. Good luck choosing the final ones! I totally vote for 4, shows YOU which I think is most important ;) I love them though Dawn did awesome! I would say number 8 or 9 of you and number 6 of sydney......but you know, you really can't go wrong with any of them! good luck narrowing it down! And Jamie (maricopa fabrics), LMAO!!! I am dying here at your "just gave birth to the fabric ball" comment. You are so right!!! I almost just went in and deleted those 2 pictures but it would've messed up the numbers for the voting so I guess I'll leave them up there. OK... no one vote for #2 or #3, please... LOL! ERrr..10 or 11, 10 or 11! For Sydney #6 The picture is so natural and really show the fabric ball. For you I love #12, I think it's the most beautiful shot of you. Also for you I love #8 and #10. I read over the comments and we are all pretty much picking different numbers so I guess that means they are all good, but I vote for 9 & 5. No. 2 (you) just seems to fit your personality as I've come to know you online. No. 4 (Sydney) because I love the interplay of the two of you in the composition, with the repetition of colors and shapes. Now to read what everyone else said! LOL! I read the comments after voting (so I wouldn't be influenced) and chose a picture of you birthing a fabric ball. LOL! Change my vote to No. 14! I like number 12 and 14. Couldn't pick just one. She did a great job! Can't wait to see how the brochure turns out. I am sure it will be great! I vote for 1, 4, 6 is darling too and (12 of you is sooo great)! Great colors! Your hair is getting so long! I really like photos 1 and 6, they candid and very happy. I can't wait to see your fabric. I like 12 the best of you and 6 of your little girl. If you need to go with one of you with more of your fabric included, I would go with 10 or I like the playfulness of 1. You look like you're having a lot of fun! Well, personally I LOVE 1 & 6, but apparently I'm odd...I love to see photos of professionals like that...Good Luck! Okay, I apparently I'm not that odd...must have been posting at the same time as Anita, LOL! My favorite of you is #10 (you look relaxed and confident) and #6 for Sydney (she's having fun and showcasing your work!). Oh i didn't say why, #4 because she looks cute and like she's thinkin about something and you in the background looks perfect. And #9 because I love the look in your eyes like you are intently listening and paying attention to whatever is going on over there. Sorry i'm not very wordy today LOL. mom brain. There are so many that are great-I don't know how you'll choose. My favorites are #12, #4, and #6. Good luck! #12 is awesome for you, so flattering! but no fabric....so my second choice is #1, flattering with a very genuine smile. #4 for Syndey, it looks like a shot from Vogue or Dwell or some other awesome mag, great composition. I like 4 and 11 the most. I love Sydney's smile in #4 and seeing you in the background is nice. #11 becasue you look so comfortable and the product placement seems natural too. I really like 12 too, you look great, but it's a little too Sr. portrait for this I think. #14 is my favorite of you! And I like #4 and 5(the interaction) of you and Sydney. That is tough! I love the artsy composition of #4... the way you are in the background looking at Sydney, and she is just so stinkin' cute there. #5 is super sweet too. Of just you, I can't decide between #11 and 12. I guess it depends on what feel you want for your shot in the brochure. #11 is happy and fun, and #12 is just plain gorgeous. They're all really good, but I'll vote for 4,5,8 & 9. Good luck! #4 of Sydney...love her little smirk like she is about to do something you told her not too! My vote is #1 for you because I love the feeling of fun that it conveys. Although we've never met, this is how I picture your personality when I read your blog - fun, funny, energetic. And for Sydney my favorite is #4. The connection between the two of you in the photo is brilliant. I vote 7 and 8. Though they are all amazing. You are so beautiful Patty, and Sydney is getting so big. It is so neat to watch everyone's kids growing up so much!! Cheers and best of luck with choosing!! #5 I love the interaction with you and Sydney. Her dress looks nice, the pillow looks nice and you look skinny. #12 because it is just a great shot. Classic but contemporary shot and you see the pillows blurred in the background so the colors come through from the fabric line. I think 1 says "I love what I do!" and "I love to surround myself with fun and beautiful fabrics". I like 4 because Sydney looks like a sweet little muse and the inspiration behind all you do. I like 5 and 6! Gives a whole new meaning to "birthing ball" Ha, ha! No, really, they are great! LOL @ Jamie. Birthing the ball. too funny. Patty all of the pictures are beautiful but I choose #6 of Sydney because her little face looks so perfect and #9 of you for the same reasons tayasmama gave. Ooooh they are all very good! But my favorites are 4 and 12. I vote for #1 because it looks like your having a blast in that one. It made me smile and want to know what you're laughing about. And #6 of Sydney. I have no particular reason, she's just so darn cute! I love them all you look like you had fun. Holy Smokes you gorgeous babe!! #12 is my fave of you - I want this on my wall in my studio!!! I also adore 4 and 8 - but they are all wonderful. Thanks for all the comments, you guys!!! And #4 makes Sydney look soooooo precious with her beautiul smile! # 1,4,6,12,14 Are my faves! i can't narrow it down! but if there were like a threat on my life if I didn't i would say #1 looks so natural of you, and very flattering! And #4 shows the fabrics great, very relaxed and has visual interewst to it. And well #6 your daughter is just stinkin cute! I love your hair in these photos too! I LOVE #1 because you are captured in the moment and #12 is just stunning! I love #4 of you and Sydney ~ I love her playful pose. Wow! Dawn is so talented AND you and Sydney are so photogenic. Love the dress you are wearing too! Perfect color choice! I choose #11, I heart it!!! I love and miss you Patty, you are the most fun ever!! My favorite of Sydney is #4 because I like her smile in it and how I can see you in the background looking at her. I love shots like that. My favorite of you is #11 because it's a very natural beautiful photo of you and you can see the products using the Andalucia as well without being too obvious, just eye catching to make you interested in it. I vote for 4 and 8. # 4 is my favorite. I just love how the two of you look in that one! Ok now you have given us a hard task :-) My favorite pic of you would be number 11, you look so relaxed and happy with yourself in that one. My favorite of Sydney would be number 7. I think it is really cool how it shows how much she looks like you. You look gorgeous Patty. Love your clothing choice. Very Andalucia! My choice would be #10. It has the pillow and ball in it and just seems like a natural portrait. I could definitely see it in a brochure! I love #5 because it has you and Sydney just being yourselves...just like any other mom & daughter so I can totally relate. I hope this helps! She did an awesome job on your pics! my favs are #1 and #5. #8 really speaks to me as a photo for you. It looks pro enough to go in a brochure, but real enough to look approachable, and it's a lovely shot of you. To me it just screams, wife, mother, business woman, creative mind extraordinaire! You're sitting in a beautiful room surrounded by beautiful things, made by your beautiful textiles, I think women want the life you're portraying in this picture. I know I do! I wanna rip that brochure open and find out what she's talkin' about! I like 4,6,& 12. 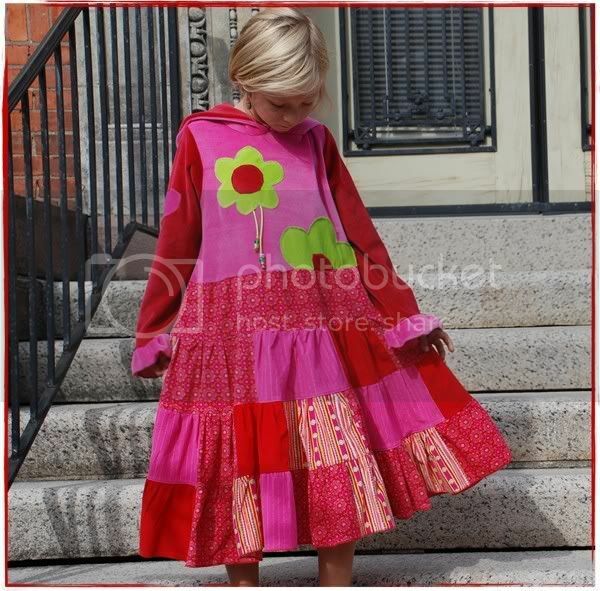 Four and six do a great job of showing fabrics with lots of other colors in the photo. The first 3 seems to lack color in the background. Then #12 was a smashing personal photo. The fabric ball on the belly reminded me of pregnancy. I loved the chocolate couch and your fabrics are lovely. Good luck! I like #1 and #5. #1 is sooo you Patty: fun, bubbly, and fully of spunkiness. :) It's a really natural pose and I love it. #5 I like the best because it's a beautiful shot of the wonderful relationship between you and Sydney. I think it shows the mother and child bond in a really modern and sweet way. 12 is a really beautiful shot of you. The lighting/colors are perfect! 4 of Miss Sydney. She looks like her sweet little self & like she's having fun in this one! Beautiful pics! I vote for 10 or 6! Okay....#4 for Sydney because it's just whimsy enough with that darling foot of hers flitting out like that and looks really sweet with hot mama faded in the background--which makes Andalucia look like great fabric for decorating a HOME with. I also like that some of the prints reappear in the entire stylizing. #9 for you if you want people to "keep guessing" about who you are--beautiful yet a little mysterious because it's a profile shot. #11 if you want people to see who you really are as a fabric designer and person--shows your beautiful face, sense of style your sweet, fun personality and eye contact--you are a great listener and that shows in this shot. Save #12 (which is beyond stunningly gorgeous) for the cover of your first cookbook! "In the Kitchen with Patty Young"--I'm dead serious! STEAMY beautiful. I LOVE YOU PATTERS!!!! 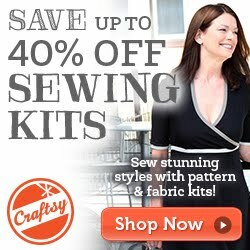 I am so excited for you and cannot wait to buy and sew some of your delicious fabrics. Congratulations on everything--the photos are gorgeous-wtg Dawn! My vote is for #9 of you and #6 of Sydney. I really like the look of the pictures being natural and not posed and looking at the camera. All the pictures are great though. Good Luck with everything. I love the upcoming line! My vote is for #1 and 4!! Very pretty! The shots are great. I would pick #4 for Sydney, it has that mother admiring her angel look! I think #12 is a fabulous picture especially if you are going for that professional look. If you are going for the casual everyday look I would go with #8 because it shows off your product and is still a good picture of you! They are all so good - good luck choosing! OHHHHH I am late! They are all so great!!! I love #12 of you, you look radiant and sooooo beautiful in that one! And I like #7 of Sydney. Post the ones you pick!!! I didn't get here soon enough to vote, but I do like #s 4 and 12 the best... mostly because they are "pretty photos."